John Travolta, Bruce Willis, Melissa McCarthy, and even Donald Trump made the list of nominees for the 2019 Razzie Awards. 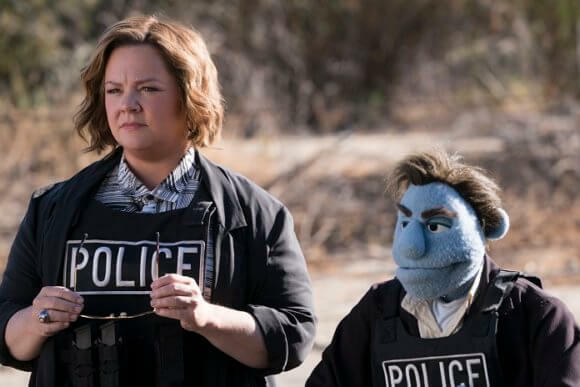 Razzie voters had the difficult task of narrowing down the worst of 2018’s films and performances to five nominees in each category, selecting Gotti, The Happytime Murders, Holmes & Watson, Robin Hood, and Winchester to compete for the dishonor of being named 2018’s Worst Picture. The annual Razzie Awards always take place the evening prior to the Academy Awards. This year’s no exception as the 39th Annual Razzie Awards will be held on February 23, 2019, with the Oscars following on February 24th. Unlike the Oscars, it’s unlikely any winners will put in an appearance to pick up their trophy valued at less than $5.00. Most actors don’t acknowledge their wins, however Sandra Bullock, Halle Berry, and Tom Green have all demonstrated they have a sense of humor by attending the awards ceremony. Bullock even brought DVD copies of her “winning” film, All About Steve, to pass out to attendees.